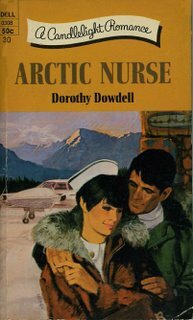 Look at Nurse Lori Waters snuggling with that handsome doctor, who is also a pilot. I’m sure she’s just trying to stay warm. Yeah, right! Hey Lori, take off your nurses cap and put your hood up. You’re loosing body heat through the top of your head, and don’t you know it’s not proper etiquette to wear your nurses cap outside of the hospital. On second thought, maybe she can’t take it off because it’s frozen onto her head. Lori moved to Alaska to escape the memory of heartbreak. She’s a smart girl. Nurses make big bucks in Alaska, and there are more men than women living in that state. Seems to be a win-win situation. You go, girl! It’s stinking cold outside. I’m sitting by a space heater in my flannel pajamas trying to stay warm. I’m also diving into my second bag of Cheetos. And I wonder why I gain so much weight during the winter. My coworkers called me last night and said that snowbirds are beginning to flock in. A snowbird is defined as a homeless person who comes to the ER and states that they are suicidal so they can be admitted into the hospital. I don’t blame them a bit. We offer superb customer service, which includes three hot meals per a day, and a warm bed to sleep in at night. And let’s not forget about the flat screen televisions and the wireless Internet service available to all of our patients. Our cure rate is remarkable. Suicidal thoughts quickly fade when the weather starts warming up. Man, are we good. nurseratchedsplace AT yahoo DOT com. Hey there! Found your blog while cruising around...very nice. I made a post on my blog called "blog hoping" and wrote a little about your blog, and added a couple links back to your site. I also added you to my favorite blogs list. Stop by and check it out if you get a chance. I hear you on the COLD... I was working on a post entitled Whiteout... but then my brain froze. I have a cap too. I have no idea where it is though! I was so proud of that thing with the black velvet band on it! I also wish I could find a 1) handsome Doctor.2) handsome Doctor who is also a pilot. 3) just a handsome pilot.4) just a handsome guy. I have a friend who is a travel nurse and she says the odds are good with regard to the men in Alaska but she also says the goods are odd! AH! Next time a transient shows up at our door when it's 40 below, I'll tell them what you have to offer! Once a guy showed up with a nasty cough. I was worried that he might have pneumonia, until I realized that a life-threatening illness could be his ticket to free room, board, and medical treatment. That led me to some serious reflection. As soon as I find a workable solution, I will sell it to the government. Is it crazy if after nearly two decades in the South, following a childhood in Michigan, I feel a twinge of blizzard envy? 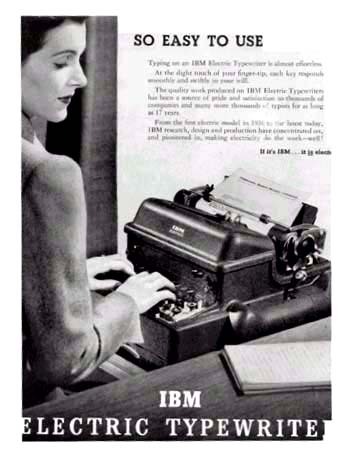 Ah, typewriters. Those were the days. We might need two stamps for a single page letter -- after figuring in the weight of all the Witeout, you know. And then there were the erasable Selectrics where you could compress the type. And you took out 10 letters and spaces -- 'fixing' something substantive, not correcting a spelling error -- and needed to come up with something accurate that would fit in the space. Spell check completly ruined me. I cant spell at all. very interesting! stay warm! My husband says he totally sympathizes with the ER crisis of snowbirds (he's an outpatient therapist) - love the psych stories. I am in a sadistic mood tonight so I will share that the high today in my locale was 69 degrees. My depression became markedly worse...we'll be in the 80's in less than a month and 90's by the end of March. "Winter" around here only lasts about 3 months...and there is no spring...just BOING--summer! Season envy--it is a terrible thing. I couldn't handle what you brave folks are living through! Of course, I don't have the proper wardrobe either - no Cuddle Duds or warm boots. It would take a major shopping trip to venture out! I saw your link on Gene Bach's list of places to visit. I'm certainly not sorry I'm took his advice!!! Hey, thanks for ur good wishes. Nurse Winters is 'Arctic Nurse'? Is she chilly to everyone? 'Arctic Nurse'? Whoa. Sometimes I wonder where you dig these books up from. It's freezing over here too. I look like the Michelin Man when I waddle to class every day. You take care out there Mama Jones. Looking forward to Change of Shift!